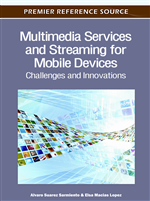 This Chapter proposes the concept of resilient multi-source streaming using a peer-to-peer overlay network over an urban vehicular ad-hoc network. Peer-to-peer overlay networks with multiple sources have proven to be robust, distributed solutions to multimedia transport, including streaming. To achieve video streaming over a vehicular ad-hoc network overlay, the Chapter introduces spatial partitioning of a video stream based on flexible macroblock ordering. Flexible macroblock ordering is an error resilient feature of an H.264 video codec in which macroblocks can be assigned to slices in non-raster scan order. Furthermore, the Chapter examines the impact of differing traffic densities and road layouts upon a peer-to-peer overlay network’s performance when streaming video. The research demonstrates that the vehicles’ mobility pattern and their drivers’ behaviors need to be carefully modeled to determine signal reception. The Chapter also considers the impact of the wireless channel, which also should be more realistically modeled, compared to the usual two-ray path loss model. Video streaming within an automotive Vehicular Ad-hoc NETwork (VANET) is a challenging prospect because of the lack of network infrastructure, the motions of the vehicles, and the wireless channel conditions leading to unreliable wireless links. A VANET will typically be formed by a group of people moving around on vehicles. Direct inter-vehicle communication (Yousefi, 2006) can then be an aid both to the passengers’ comfort and to road safety. Compared to a cellular network, a VANET may be toll free, avoids the delay in setting up a long communication circuit, and will operate on a highway when there are coverage gaps in a cellular network. A scenario explored in this Chapter is a team of early responding emergency vehicles converging upon an emergency scene within a city. Real-time video communication allows early responders approaching an incident to better understand the nature of the problem at the scene of an emergency (Park et al., 2006) but the lack of centralized routing and network resource management must be overcome. Transmission of crash scenes, views of fleeing vehicles or burning buildings are some illustrative applications of video streaming, while there is also now a strategic incentive to provide coverage during a more serious, general emergency such as a terrorist attack. Video communication in a VANET will be of considerable benefit in an urban emergency and may be preferable to communication over a cellular network. A novel aspect of the scheme developed by the authors in this Chapter is that the closed group formed by the emergency vehicles must take advantage of other vehicles to relay the video streams. Otherwise the numbers of vehicles and their dispersion throughout the urban area will make forming routing paths difficult to accomplish. Therefore, this Chapter highlights the concept of an embedded emergency vehicle-streaming group to aid video transfer within a more general VANET operating within a city. To achieve video streaming over a VANET overlay, resilient multi-source streaming using a Peer-to-Peer (P2P) overlay network (Buford et al., 2009) over a VANET can be considered. P2P overlay networks with multiple sources (Jurca et al., 2007) have proven to be robust, distributed solutions to multimedia transport, including streaming as well as simple file download. A multi-source P2P streaming system as an overlay network can be organized in such a way that a number of destination vehicles receive the same streaming data from multiple peers within the overlay. The presence of multiple sources means that if one source fails during the streaming process another can step in. This is because, in a VANET, a source could easily fail if a vehicle is parked or moves out of the area. Multiple sources are also required if the video stream is split into several streams in order to exploit path diversity within the VANET using Multiple Description Coding (MDC) (Chakareski et al., 2005). In MDC, any single description or partial video stream is sufficient for a watchable version of the video but the quality is enhanced when one or more other descriptions are delivered. In contrast, in layered video coding, the base layer must be received because otherwise enhancement layers cannot be utilised. Another important issue is to what extent video error resilience measures (Stockhammer & Zia, 2007) can protect video streaming across these networks. The H.264/AVC (Advanced Video Coding) codec (Wenger, 2003) has introduced a number of such measures, some of which are new to this codec, an example being Flexible Macroblock Ordering (FMO) (Lambert et al., 2006). The Chapter analyses the response of the error resilience measures to isolated and burst error patterns. In fact, MDC based on the spatial decomposition of FMO can counter the effect of packet loss on video streams. By employing checkerboard or dispersed FMO, each frame can be separated into two or more slices. These slices can aid the reconstruction of adjacent macroblocks (a macroblock is the unit of block-based motion compensation, whereby only the difference between a block in the current frame and a matching area in the reference frame is encoded, as the energy of the residual frame is reduced compared to the current frame) in another slice in the event of the packet bearing that slice being lost. Checkerboard FMO is the only one of the H.264/AVC FMO types that has this property. An error resilience strategy adopts FMO for high packet loss regimes but includes distributed intra-refresh to reduce the sudden data bursts that would otherwise arise from transmitting periodic intra-coded I-frames.